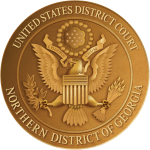 The United States District Court for the Northern District of Georgia has approved revisions to Local Civil Rule 83.1 and Local Criminal Rule 57.1, both titled, Attorneys: Admission to Practice Before the Court. Among other things, these revisions address the implementation of NextGen CM/ECF (slated for April 15, 2019) and the attorney’s duty to notify the PACER Service Center of changes to the attorney’s contact information. Full copies of the proposed revisions to Local Civil Rule 83.1 and Local Criminal Rule 57.1 are available here. The Court is soliciting comments from the public and the bar on these rules.